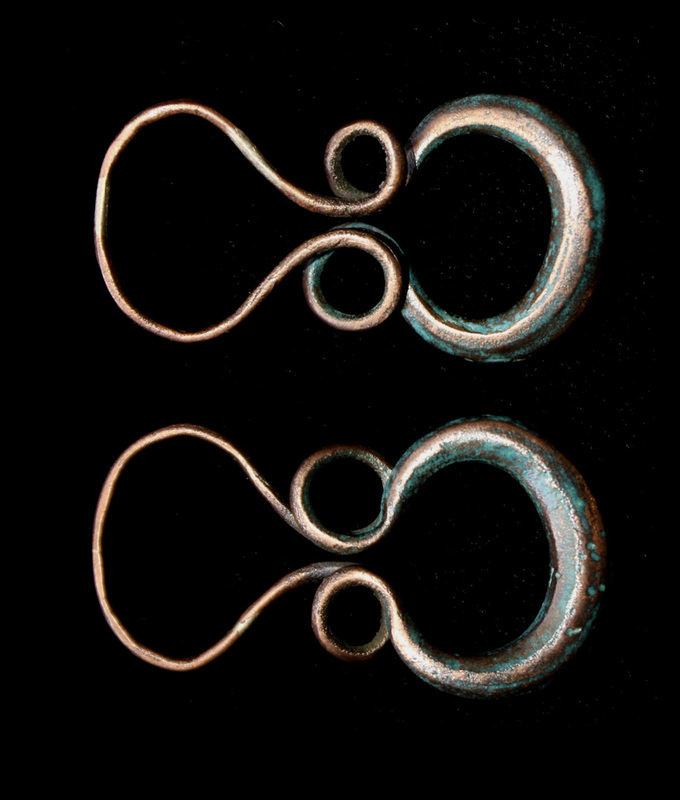 Seller's Note/ The ancient Celts loved sinuous forms and the smith who created this remarkably elegant and beautiful clasp was no exception. Here's how it worked: the smaller end was sewn/afixed to one side of the cloak and toggle (not a button) was sewn to the other side of the cloak. 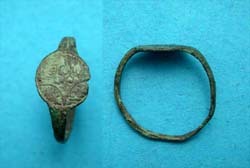 The toggle was then used to close the clasp. Very rare in any condition. If you're not familar with a toggle, please see an example below the photo.